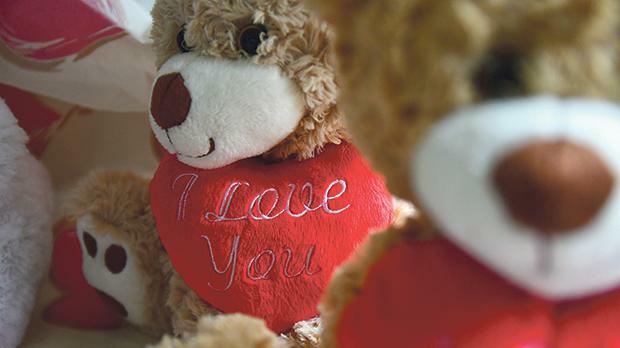 Kristina Cassar Dowlingfinds that Valentine’s Day love doesn’t need to grow in the usual places. It’s that week in February whens everything around you is plastered with big, red hearts that come in the shape of cards, balloons, baked goods and stuffed animals – these are all designed in the cutest of arrangements to appeal to the soppier few who more often than not head to the shops a couple of hours before they’re destined to share these heartfelt gifts. You guessed it, we’re talking about Valentine’s Day – the biggest Hallmark holiday that’s more closed text than snow on Christmas Day. But no matter how much we bicker about the commercialism of the holiday, you can’t dare skip this one with your someone special. This year, why not break away from the typical flowers and box of chocolates and opt for something a little bit more creative. Here are five alternative options that are sure to score you a few extra points. Admittedly, a restaurant booking would be far easier and maybe even expected but a home-cooked meal is always more meaningful. If you’re generally on the receiving end of a perfect dinner, this may be the perfect occasion to bring out the old cooking gear for a culinary treat your partner will faun over. There’s no need to go uber fancy, with oysters, lobster and champagne, although that might be a stellar option for the more capable home-cook. Rustle up one of the favourites, whether it’s a rich spaghetti bolognese or a juicy fillet of Wagyu beef, make it special and go all out with presentation, service and be sure to get a couple of bottles of wine – the night may go on longer than expected. For those who spend a fair amount of time out of the house, a cosy night indoors may be onthe agenda this year. Staying in doesn’t have to be boring, not if you’ve got it all planned out. Run your loved one a bath, give them a therapeutic massage and watch a movie together while you snuggle up on the sofa. As long as you’re together the day will have a perfect ending. These creative gestures may come in handy for the newly blossoming relationship that’s just kicked off at the university quad – here’s one for the student on a budget, or even the older lovebirds saving for something more meaningful than a dozen roses. Get to crafting with some recycled cardboard, a few colourful pens, scissors and some string. Give your lover a coupon booklet redeemable for a fancy breakfast in bed, a steamy bubble bath, a romantic date night or even a few cheekier options you may want to add on to add some character to your gift. Expiration date for these: never. This one may need a fair amount of notice unless spontaneity and adventure is just what the doctor ordered that is. Why not book a flight for a weekend escape to a romantic urban city or a secluded country town? Think about it – it will be just the two of you and all you’ll have to do is be in the moment. Book your flights, find a nice place to stay and enjoy each other’s company for a couple of days. If a trip out of the country is a little bit out of your price range, head to Gozo, Gozitans, pop over to Malta and break away from the mundanity of routine. This is a bold gesture and a highly appreciated one if done right. This may apply to the couples whose timeline spans more than a couple of months, but with some editing, young love could also find some use for this. 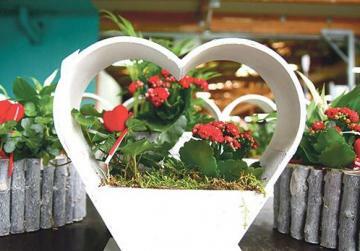 Plan out a treasure hunt: you can use riddles, cryptic games and other playful tactics to lead your Valentine around the island, highlighting the key locations that signify something special in your relationship. For example, you may start off in a little café, the very spot where you used to catch-up on your day before things got serious, maybe moving on to the beach where you first kissed, ending the night in your favourite restaurant where you first said those three magical words. Playful and romantic. Spark your creativity and tailor make the perfect Valentine’s Day for the one you love. Remember to be kind to each other, respect one another and listen to what the other has to say; there’s nothing sweeter than a couple in love.